EvenTide Grille, Sea Bright : Live Entertainment: Friday, Saturday, & Sunday! 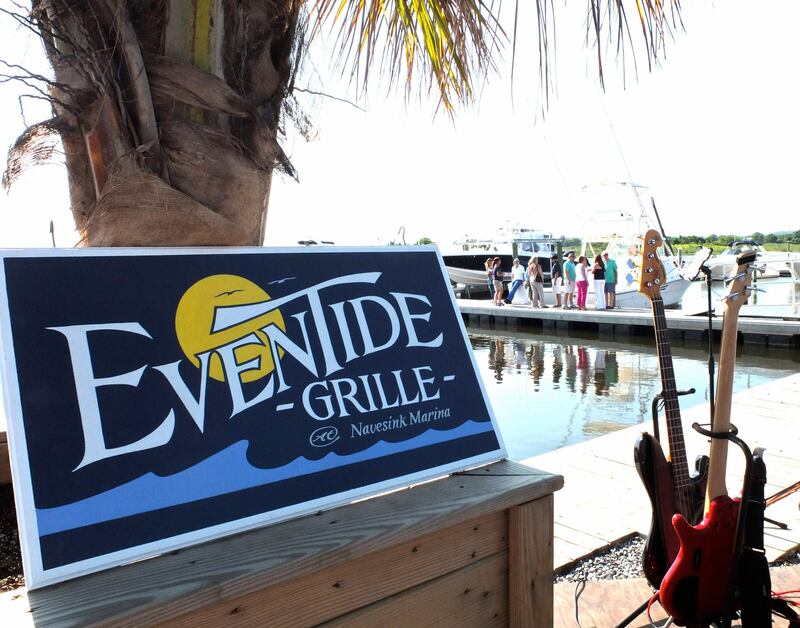 EvenTide Grille - Live Entertainment: Friday, Saturday, & Sunday! Check out our great band line up, featuring some of the most talented acts on the Jersey Shore! Live music starting at 6:30 Friday & Saturday, and local legend Dave McCarthy plays from 2-5pm every Sunday. Happy Hour at EvenTide Grille! EvenTide Grille at Navesink Marina is a true neighborhood restaurant that welcomes all, from singles to families, to the young and the young at heart. The name “EvenTide” references dusk or sunset, and it alludes to calm water. We are located on the beautiful Shrewsbury River and we are famous for our amazing sunsets each night. Stop on by!